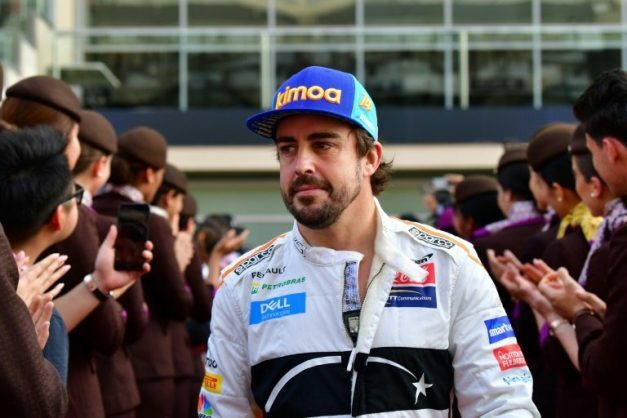 Fresh from adding to his illustrious list of achievements at the 24 Hours of Daytona at the weekend, Spanish race driver Fernando Alonso looks set to chase more history away from the track at the Dakar Rally with a realistic chance of him linking up with this year’s winning manufacturer Toyota Gazoo Racing SA. The two-time Formula 1 world champion alongside co-drivers Kamui Kobayashi, Jordan Taylor of the US and Renger van der Zande won the rain-hit Daytona on Sunday, adding another famous endurance title to his CV after winning Le Mans last year. Alonso was behind the wheel of a Cadillac DPi-VR as part of South African Wayne Taylor’s team, who has now won two from the last three Daytona events. Now, there is every possibility that he might turn out at the Dakar next year for another South African team in the colours of Gazoo Racing. He won Le Mans in a Toyota last year and the Japanese manufacturer look set to get him involved in Glyn Hall’s South African operation, who produced the winning Hilux driven by Nasser Al-Attiyah in Peru this month. “Alonso is definitely a possibility and Toyota has been in touch with him. He is keen to come and compete in Dakar but of course we have to establish if he really likes it, if he is good enough and if the match works,” said Hall. But the Spaniard still has another box to tick before things get too dusty. He will try to join Britain’s Graham Hill as the only racers to win the Triple Crown of the Monaco Grand Prix, Le Mans, and Indianapolis 500 when he competes in the 500-mile event in Indiana on May 26. If Hall does recruit Alonso, Toyota will have to relook their roster for 2020. Along with Al-Attiyah, their 2019 line-up also included Dutchman Bernhard ten Brinke and Giniel de Villiers. And apart from Alonso, local young rally prospect Henk Lategan has also been tipped for a seat sooner rather than later. Driver rotations might not be the only changes facing Hall next year as proposed engine regulations might loom large and also the possibility of a different continent hosting the world’s most gruelling race. Toyota’s current Hilux runs on a naturally aspirated 5-litre V8 engine, while a mandate for turbochanged petrol engines is on the cards. “In my opinion, the regulations at the moment are not balanced. There is an option for the turbo petrol engine to be introduced in 2020 and we’ll see how that goes,” says Hall. With Peru the only host of this year’s race after Bolivia and Argentina pulled out, there is a strong suggestion that the race could move away from South America after 11 years on the continent. Southern Africa has been in contention ever since the race moved from its old route from Europe to northwestern Africa, while the Middle East is also believed to be interested. Namibia, Botswana and South Africa should be the prime candidates to co-host the event with Namibia’s dunes providing an integral part of the route, but the country’s strong stance on conservation could be a stumbling block. “From a personal point of view, I would love it to be in southern Africa. The timeframe is right for Europe where the TV emulates from, there is plenty of new terrain and southern Africa would welcome the Dakar,” says Hall.